Facial masks are something that beauty editors and skincare junkies use religiously, but non-believers treat with subtle doubt. We know, they can sometimes seem like an extra product that magazines and brands are trying to force on you, but we can honestly tell you that every beauty industry insider we’ve ever met can’t live without facial masks (ok, that might be a slight exaggeration). We’re sure they’ll stay alive, but just with less radiant skin. Think of masks as a daily vitamin supplement or getting a trainer. They basically give you a little leg up in life, or in this case, skin. Are they absolutely necessary? Well, to be honest, no. Cleansers, moisturisers and sunscreens are definitely more important. But are they great – not just good – for your skin? Absolutely. They give your complexion a little something extra that your regular skincare can’t, similar to getting a facial, but in the comfort of your own home. Masks are intensive treatments that go one step beyond your normal routine to treat targeted issues so your complexion looks and feels healthier. Breaking out? Then use a deep cleansing mask like the Peter Thomas Roth Irish Moor Mud Purifying Black Mask (SGD115, from Sephora) and your pimples will clear out in a day or two. It is made with 9,000 year-old black Moor Mud is harvested by hand from the Irish countryside to detoxify skin and draw out impurities, dirt and oil. If your complexion is looking tired and dull, a thin layer of the Kiehl’s Turmeric & Cranberry Seed Energizing Radiance Masque (SGD39) will perk you up. It helps to soften, heal and brighten to give your face a rosy glow. 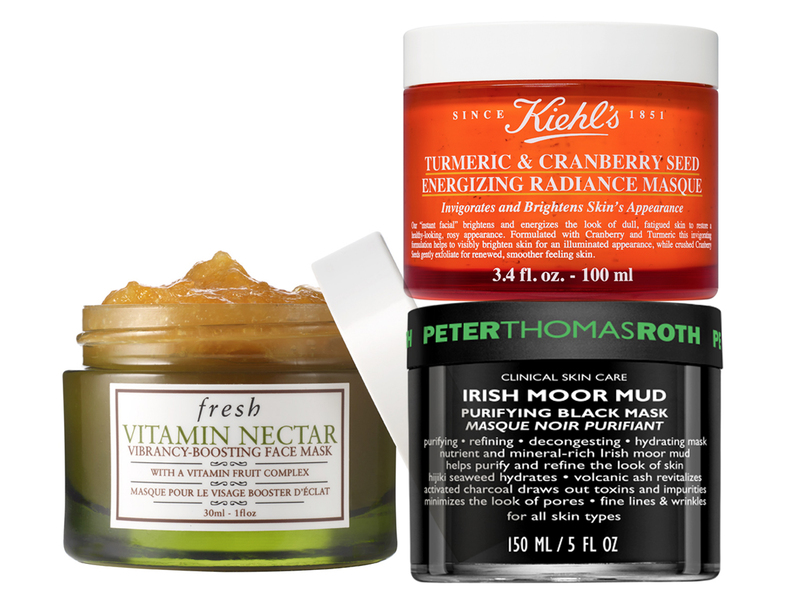 For rough, uneven skin, check out the Fresh Vitamin Nectar Vibrancy-Boosting Face Mask (SGD38). It’s infused with crushed citrus fruits that contain natural AHA fruit acids that gently refine the complexion and give you instantly smoother skin. Facial masks don’t take much time, just about an extra 15 to 20 minutes a day, and the results are more than worth the effort. If you haven’t already, then they’re definitely one skincare item you definitely should add to your regime.